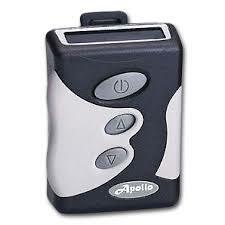 The AL202 is a numeric pager with a holster side-read design. 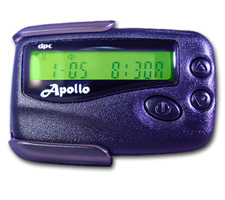 LCD Canned alphanumeric messaging 26 total memory slots for incoming and saved messages selective message lock / delete unread message indicator duplicate message indicator. 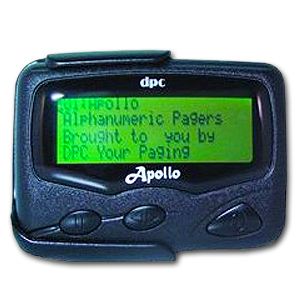 The Apollo T2000 is a top-read numeric pager. Canned alphanumeric messaging 26 total memory slots for incoming and saved messages selective message lock / delete unread message indicator duplicate message indicator. 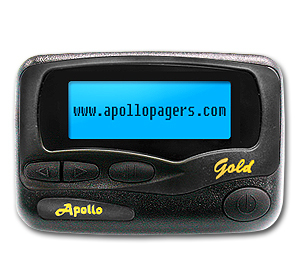 The same durable polycarbonate plastic housing as larger pagers 30 total memory slots for incoming and saved messages selective message lock / delete unread message indicator duplicate message indicator message full indicator mail drop alert unread message reminder auto scroll and zoom. 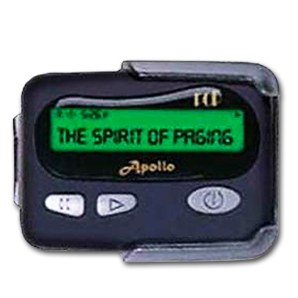 The Apollo VP200 Pro1 is the narrowband/wideband programmable version of the original VP200 2-channel voice pager. It features the same rugged, classic styling in a full-size form factor. The VP200Pro1 is also UL-certified for use in hazardous locations. Dedicated function and volume knobs for easy switching between channels, modes, and volume levels Rubberized, secure-grip sides for improved handling. 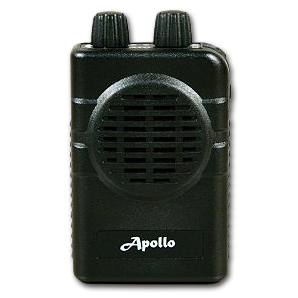 8 minutes stored voice, standard on all models, with programmable Squelch Control Record Method to help minimize the annoyance of channel noise during broadcasting pauses while in the Selective Call mode. Heavy gauge polycarbonate plastic housing rated IP54 for dust and water protection Switchable between narrowband and wideband operation with a simple programming setting. The standard quick charge cradle may be upgraded to an amplified charger which also features relay, audio, and antenna jacks.